“You had to attack civilians, the people, women, children, innocent people far removed from any political game. The reason was quite simple. 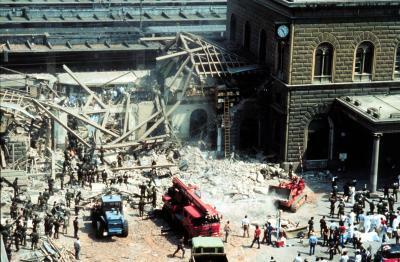 They were supposed to force these people, the Italian public, to turn to the State to ask for greater security. This is the political logic that lies behind all the massacres and bombings which remain unpunished, because the state cannot convict itself or declare itself responsible for what happened”.